The lives of three very different women intersect in shocking ways in this "outstanding psychological thriller" (Library Journal, starred review), by the New York Times bestselling author of The Bookseller. In the autumn of 1960, Angie Glass is living an idyllic life in her Wisconsin hometown. At twenty-one, she's married to handsome, charming Paul, and has just given birth to a baby boy. But one phone call changes her life forever. When Paul's niece, Ruby, tells them that her father, Henry, has committed suicide and her mother, Silja, has gone missing, the newlyweds drop everything to be by Ruby's side in the small upstate town of Stonekill, New York. Angie thinks they're coming to the rescue of Paul's grief-stricken young niece, but seventeen-year-old Ruby, self-possessed and enigmatic, resists Angie's attempts to nurture her. While taking up residence in Henry and Silja's eerie, ultra-modern house on the edge of the woods, Angie discovers astonishing truths about the complicated Glass family. As she learns about Henry and Silja's spiraling relationship, and Ruby's role in keeping them together, and apart, Angie begins to question the very fabric of her own marriage. 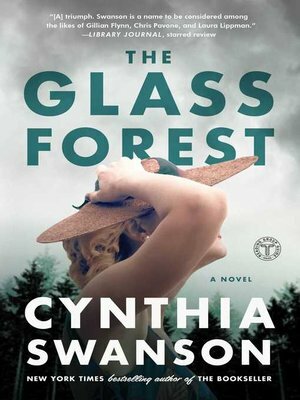 As details of the past unfold and Ruby dissects her parents' state of affairs, the Glass women realize what they're capable of when it comes to love, secrets, and ultimate betrayal.